Women are very much at the mercy of their hormones throughout their lives. From puberty, through menstruation and pregnancy, all the way up until menopause, there is plenty of scope for things to go wrong. Many women accept issues such as PMS and painful periods as being a fact of life. However, according to Traditional Chinese Medicine (TCM), this should not be the case. TCM doctors believe that when your body and mind are in balance and harmony, you should be able to move through your hormonal changes easily and without symptoms. In this article, we will explore women’s health from a TCM perspective, and take a look at what you can do to stay healthy at any time of life. According to TCM, women’s health relies on three major factors, blood, qi, and essence. The association with blood may seem obvious as it plays such a major role in menstruation. However, in TCM, the functions of blood are far more complex than they are in western medicine. Blood is not only responsible for carrying nutrients around the body, but it also provides warmth and moisture to your organs and tissues. To stay healthy, your blood needs to be plentiful and circulate freely around your body. If your blood is deficient, you may suffer from light or irregular periods, and if your blood cannot flow as it should, you may experience menstrual pain. The word qi roughly translates as ‘energy’ and it has a crucial role within the body, allowing your organs to function, your muscles to move, and protecting you from disease. Qi is especially important to women’s health as it has an extremely close relationship with blood. Blood provides nourishment for qi, and qi gives blood the energy it needs to move through the vessels. Therefore, if qi is unable to flow freely and becomes stagnant, blood will soon follow suit. Stagnant qi can result in physical symptoms such as irregular cycles, and can also cause emotional symptoms such as depression or mood swings. PMS is one classic symptom of qi stagnation which affects many women during their menstrual cycle. Essence, known as jing in Chinese, is a substance which governs growth, development, and reproduction. It is in part inherited from your parents, and in part influenced by your lifestyle. Your essence determines at what age you begin puberty, and eventually go through menopause. It is also involved in fertility, and if you have deficient essence, you may struggle to conceive or maintain a pregnancy. Your essence naturally declines as you age, and if this happens too quickly, you may suffer from early menopause or other symptoms of premature aging. Declining essence is also responsible for menopausal symptoms such as hot flashes, insomnia, and mood changes. All of the systems have a role to play in maintaining a healthy reproductive system, but according to TCM, the most important systems for women’s health are the Spleen, Liver, and Kidneys. The Spleen is one of the major digestive organs, alongside the Stomach. These organs work together to extract nutrients from food, which are essential for building healthy blood and qi. If your Spleen is not functioning well, you may suffer from qi and blood deficiency, as well as a variety of digestive issues. The Liver has the important role of ensuring the smooth flow of qi around the body. If your Liver becomes imbalanced, qi and blood stagnation can occur causing various symptoms throughout your body and mind. The Kidneys are crucial in women’s health as they are responsible for storing essence. They are also the source of all the yin and yang of the body. Yin and yang need to be in balance to stay well, and so any problems with the Kidneys can have a major impact on your health. Luckily, there are plenty of things you can do to improve your reproductive health, for example, using Chinese medicine and acupuncture. There are also many simple things that you can do at home to take care of yourself on a daily basis. Eating a balanced and nutritious diet is one of the best ways to nourish your Spleen and ensure a healthy supply of qi and blood. Generally speaking, you should aim to eat foods that are fresh and in season in your area, and avoid highly processed foods which are low in nutrition. According to TCM, it is best to avoid eating too much cold or raw food as this is more difficult for your Spleen to process. Foods such as soup, stew, and porridge are ideal as they are considered very easy to digest. The way that you eat your food is also important. Take time out for meals and do not eat at your desk or on the go. Chew your food well and appreciate each mouthful. Stop eating just before you are full, and avoid eating heavy meals late at night. A large breakfast, medium-sized lunch, and smaller dinner is best. Your Liver is easily affected by emotional stress. It causes your muscles to become tense and makes it more difficult for qi to flow smoothly around your body. Therefore, managing your stress levels is a key way to keep your menstrual cycle healthy and symptom-free. 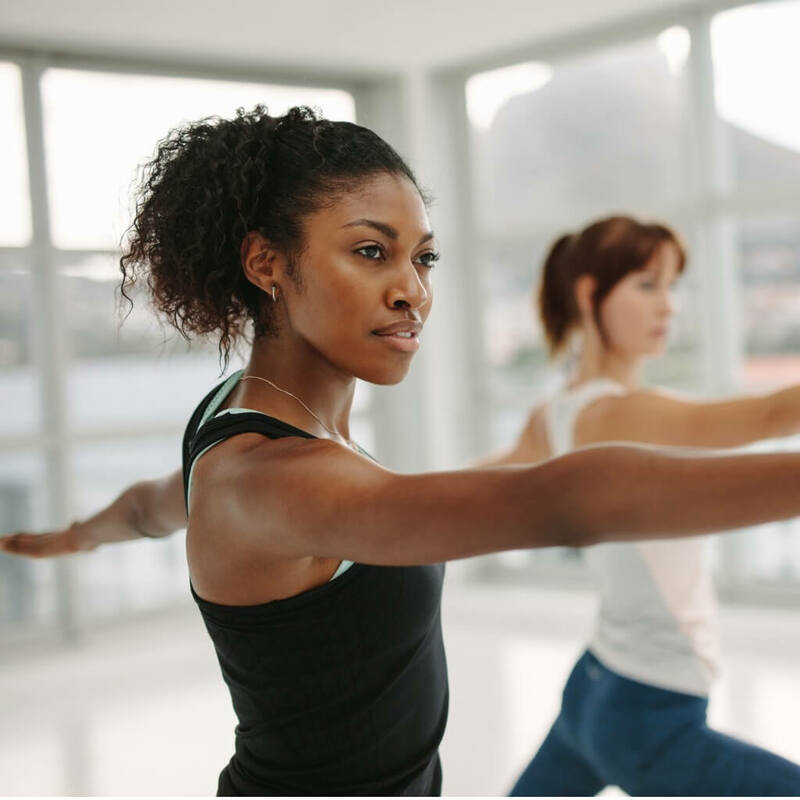 Regular exercise is a great stress-buster, but over-exercising can tax your Kidneys, so try gentle workouts such as walking, yoga, or tai chi instead. Many people find relaxation techniques such as meditation helpful, or you could book yourself in for a massage or relaxing acupuncture treatment. Your Kidneys govern yin and yang, which need to be in a state of constant balance for good health. Physical work and activity can help to boost your yang, but exercising to the point of exhaustion can have the opposite effect. Relaxation and sleep are good for nourishing your yin, but if you overdo it, you could become sluggish and fatigued. This is why in TCM, it is important to work and rest in moderation. This will help to keep your Kidneys healthy and your body and mind well-balanced. Acupuncture and Chinese herbs have been used for centuries to improve women’s health and treat symptoms such as menstrual issues and infertility. From a TCM viewpoint, these therapies can help to nourish your blood, qi, and essence, and help them to flow smoothly around your body. When you come for your first appointment, we will take a detailed case history to identify which of your organs may be imbalanced. We can then recommend the most appropriate treatment and give you personalized dietary and lifestyle advice. From a biomedical perspective, acupuncture and herbs can benefit women’s health in many ways. They have a positive influence over your hormones and can help to relieve symptoms such as pain, stress, and anxiety. Here at Ravenswood Chiropractic in Chicago, our acupuncturist is an expert in women’s health, so if you are a woman of any age, why not give TCM a try? Contact us at 773-878-7330 to book an appointment or find out more.